Written by, Nahrin Aziz-Parsons, M.Ed. Over the past several years, educational reform strategies have postulated that not only do children need to be ready and able to learn in school, but equally important, schools must be ready for children (“Getting Ready: Findings from the National School Readiness Indicators Initiative,” 2005; “Kindergarten Readiness: A Child’s Checklist,” 2009). 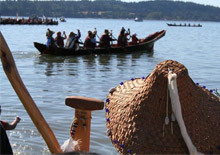 In this article, [Author] explains the ways in which Northwest Indian College, one of 37 tribal colleges and universities, used professional learning communities as a methodological process to engage educators serving Lummi children and families in collective inquiry that resulted in a smoother transition for children who moved from early learning to the K-3 educational system. Furthermore, the collective inquiry in which teachers engaged helped to connect educational systems across districts and communities, ensuring that schools are ready for children, by redefining “Safety Zones” (Lansing, 2014) and fostering place-based education, thus positively impacting the lives of young Native children. Individual. Institution. Community/Tribe. System. 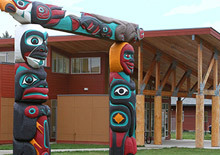 These four pillars form the foundation of Native early childhood education­ community-centered, culture-based, linguistically focused, and connected to broad systems of care, learning, and education. 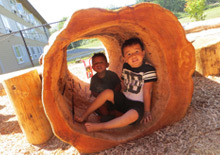 They are central foundations in the work to transform Native early childhood education from a system in which school­ing is externally developed to one in which early childhood education is decided on and developed from within Native communities. Indigenous knowledge and connection to the child 's culture, language, history, and traditions are the starting points in this transformation.